The 17th annual Show and Shine takes place Sunday August 5, from 10 am-3 pm along Main Street in Keremeos! 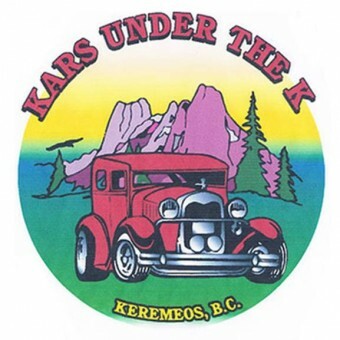 Our annual Kars Under the K event is not simply about cars — it’s also about family fun. Start off your day with a yummy pancake breakfast, spend the afternoon in a beverage garden, check out vendor’s alley or listen to great music. Your kids will have lots of fun swimming ( which by the way is free). And, of course, there is a car show, which will display hundreds of antique and vintage cars, trucks and tractors, muscle cars and street rods, custom and classic cars. We are a non-profit organization, the event raises awareness and money for local good causes. The extraordinary beauty of our surrounding landscape will make you fall in love with Keremeos, a small town surrounded by stunning mountains. Make sure you don’t miss the event this year! Kars under the K Show and Shine is a BC registered non profit Society that organizes a car show every year for the past 17 years. The society chose the Sunday of the BC long weekend to have the show in Memorial Park, Main Street, Keremeos B.C. We promote the restoration of all kinds of vehicles. We give a place where people can show off their vehicles, finished or unfinished. The car show is a family oriented event with something for everyone, and a Vendors Alley. We have antique tractors and small antique engines on display. We are also a fund raiser for the Keremeos Legion and Elks.